Massachusetts is attempting to aid its taxi industry in the wake of the digital ride-hailing industry by taking from one to give to the other—just like our Founding Fathers did. According to Reuters, the state plans to levy a 20-cent fee per trip on ride-hailing apps, with five of those cents going to taxis. It’s called the first subsidy of its kind in the country. Additionally, 10 cents will go to cities and towns and the final 5 cents is reserved for a state transportation fund. A nickel per trip doesn’t seem like a lot, but Lyft and Uber give on average a combined 2.5 million rides per month in the state. That’s enough to cover the cost of tea dumped into the harbor for sure, although not to cover the millions Uber might owe to contractors in a class-action lawsuit. This is especially true since riders and drivers will not see the fee. It’ll instead be used to pay the state. Massachusetts was always protective of the traditional taxi industry and the government blocked access for ride-hailing services. Uber and Lyft weren’t allowed to pick up people from the airport, for example, and cities such as Cambridge to ban the service. The competition that Uber and Lyft provided in the taxi industry was surely scary, but the consumers loved it. I lived in Boston for eight years, and Uber and Lyft were very welcome. Taxis were available, but the prices were astounding (a 20-minute ride from the airport and across town cost me around $40). There were also certain areas that weren’t as ripe with taxis. In the worst case scenario, the driver would get lost on the way back to your apartment in the dark, and you couldn’t figure out the way home. Ride-sharing was cheaper and more convenient, and we ate it up. 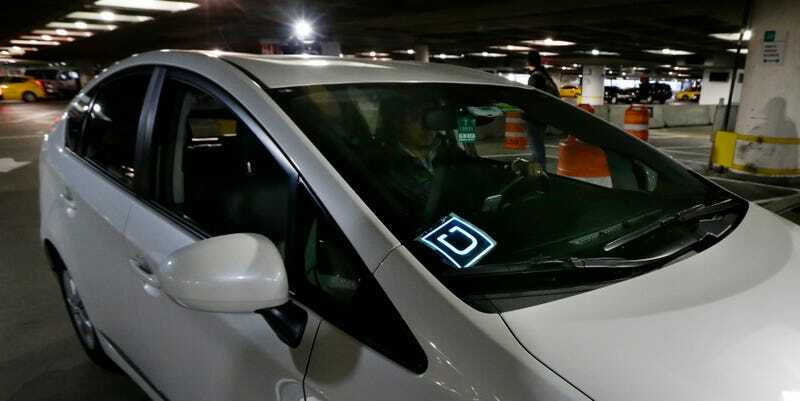 Uber has its own problems outside of whether it can get customers from point A to point B, and regulations regarding safety and the fair treatment of its contractors are welcome. But whether this’ll alleviate any tensions between taxi drivers and those stupid redcoats—oh wait, wrong war.